What on Earth is happening in the world of Rugby League? 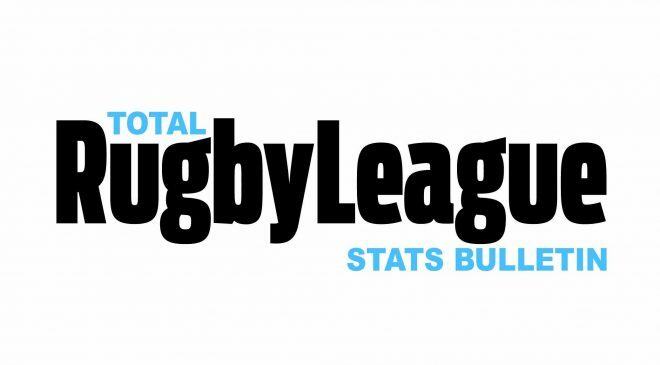 Is it full steam ahead for Super League at the expense of the Championship and beyond? Who better to ask than two of the biggest names in the Championship – Derek Beaumont (Leigh Centurions) and Mark Campbell (Featherstone Rovers) who join host Rod Studd and Garry Schofield to debate the way forward – and there’s no holding them back! Also, there’s no sympathy on offer from Schoey for Wayne Bennett’s selection woes ahead of England’s game against New Zealand in Denver. Rugby League Back Chat, sponsored by TotalRL.com, is broadcast Thursdays on FreeSports TV, which can be found at Channel 95 on Freeview or 422 on the Sky platform. The hour-long programme is repeated several times over the weekend (check listings) and will appear here on the TotalRL.com website from 9.00am on Saturdays.